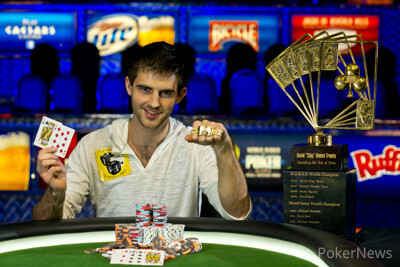 For Matthew Ashton, the fourth time was the charm here at the 2013 World Series of Poker. At this, his fourth final table of the summer, he finally captured that elusive gold bracelet, and it comes in one of the most marquee tournaments of the year, the $50,000 Poker Players' Championship. Not only does Ashton earn the gold and nearly $1.8 million, but his name will now be etched on the trophy next to legends like Chip Reese, Freddy Deeb, Scotty Nguyen, David Bach, Michael Mizrachi, and Brian Rast. The fifth and final day of this event started with an official final table of eight, and on the fourth hand, Jonathan Duhamel exited in a hand of pot-limit Omaha. The 2010 Main Event champ was all in and at risk with kings and an open-ended straight draw against his teammate George Danzer’s two pair, but was unable to improve. 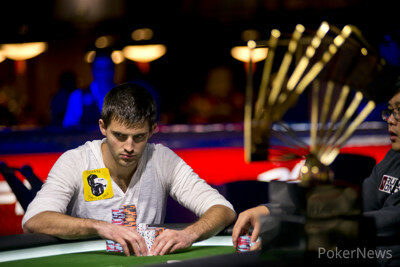 Mike Wattel was the next to exit in a hand of no-limit hold’em, and Minh Ly followed him out the door in sixth place. Ly, who was making a return trip to the Players’ Championship final table, made two pair, but David Benyamine bested him with an ace-high flush. After a quick turn of events, Danzer was eliminated in fifth place. 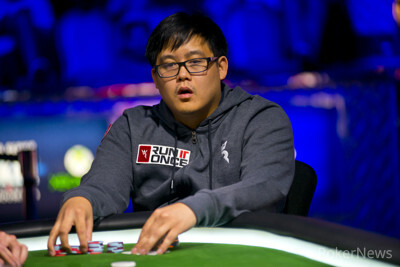 He and Don Nguyen engaged in a ferocious raising war in pot-limit Omaha on an flop, and eventually the money went in. Both players held trips, Danzer was ahead holding an ace, but Nguyen paired one of his other cards on the river to make a winning full house. Not only did Nguyen record a knockout on this hand, he also surged into the chip lead. Including the 60-minute dinner break, four-handed play lasted a little over three hours. During this time, John Hennigan climbed into the chip lead, and David Benyamine got shorter and shorter. Finally, during Level 24, Benyamine busted in a hand of stud. Nguyen made a full house against the Frenchman, and reassumed the chip lead. When play reached three handed, Ashton started to pull away. By the 192nd hand he had more than half of the chips in play, and despite dipping a bit at the end of Level 25, the Brit never relinquished the lead. 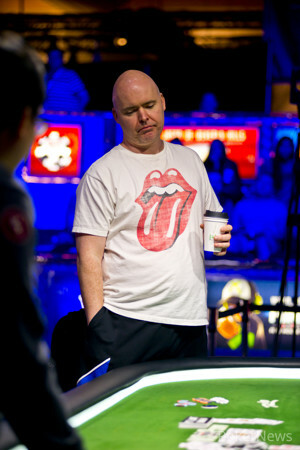 He eliminated Hennigan in Hand #257, flopping two pair in pot-limit Omaha, and heads-up play lasted only seven hands. On the final hand, which you can read below, both Nguyen and Ashton made top pair, but Ashton out-kicked Nguyen and was crowned champion. 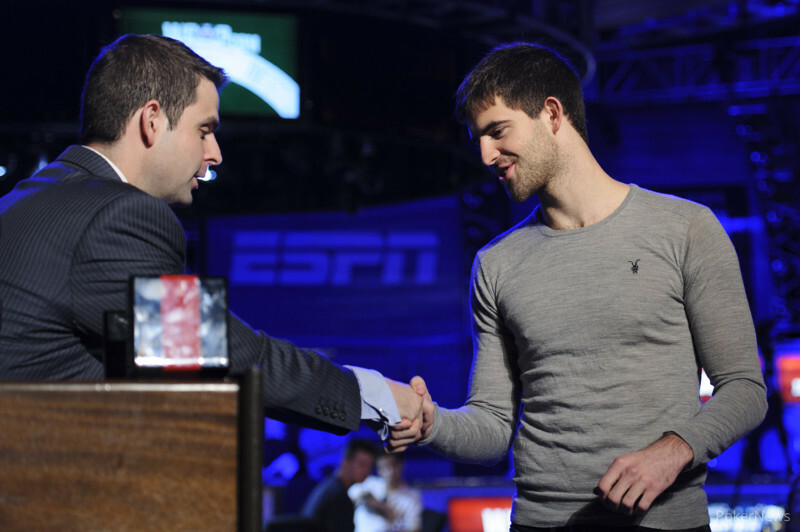 Congratulations to Ashton, the second British player to win a bracelet here at the 2013 WSOP. With that the coverage of this event comes to an end, but stay tuned for coverage of the remaining bracelet events, including the Main Event. For now we will leave you with Lynn Gilmartin's table-side chat with our champion, and until then, good night from Las Vegas. Matthew Ashton took a big chip lead into heads-up play and did something he failed to do at three other final tables this summer—win a gold bracelet. Meanwhile, Nguyen was left with his second runner-up finish of the summer. Hand #264: Ashton raised the button and Nguyen defended from the big blind. Nguyen then checked the flop and Ashton bet. Nguyen woke up with a check-raise, Ashton called and the dealer burned and turned the . Nguyen bet, Ashton called and the completed the board on the river. Nguyen bet a second time and then called off when Ashton raised. Nguyen flipped over the but it was no good as Ashton tabled the . Both players had a pair of tens but Ashton's kicked sealed the victory. Nguyen slowly stood from the table, shook hands with Ashton and then took his leave in second place. Don Nguyen raised the button and Matthew Ashton called, bringing about a flop of . Ashton checked, Nguyen bet and Ashton woke up with a check-raise. Nguyen called and then called a bet on the turn. Both players checked the river and Ashton tabled the . Nguyen double checked his cards and then mucked. Hand #256: Don Nguyen raised to 300,000 out of the small blind, John Hennigan defended his big blind, and the flop fell . Nguyen bet out, and Hennigan called all in for 345,000. Hennigan's trip nines held as the turn and river came , respectively, and he doubled. Hand #257: Hennigan limped in from the small blind, Matthew Ashton raised to 300,000, and Hennigan re-raised the pot (900,000). Ashton called, and Hennigan moved all in before the flop fell . Ashton called. Ashton had flopped two pair and a flush draw, and Hennigan was unable to catch up as the board finished , . Hennigan is out in third place, earning $686,568. Hand #252: Matthew Ashton completed and then called when Don Nguyen raised. Nguyen proceeded to call a bet on fourth before both players checked fifth. Ashton check-called bets on sixth and seventh and showed for a J-7-6-5-2 low, which was good as Nguyen mucked. Hand #243: Don Nguyen raised on the button, Matthew Ashton called in the big blind, and the flop fell . Ashton check-called a bet, then check-called another when the turned. The completed the board, Ashton led out, and Nguyen called. Ashton showed for aces and sevens with the second-nut low, scooping the pot.